It’s also imperative to take into account psychological side of the issue while choosing emotional background of your headline, since funny and serious statements can reflect on users differently. So, whether your tagline is a simple motto, witty slogan, catchy phrase, bold statement or even famous quote, it should definitely meet at least several requirements that set forth above. And then you will be much closer to set yourself apart from others. Today we have collected 25 examples of websites that fully comprehend how important is to consider emotional experience in design, which in our case manifests itself with a help of taglines. 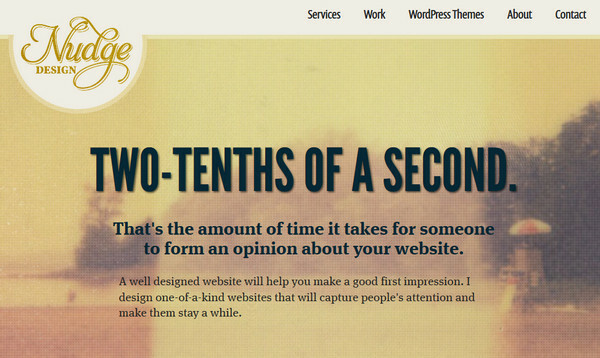 Arc & Co includes list of successive designer-related self-promotional taglines, which welcome users on the home page. 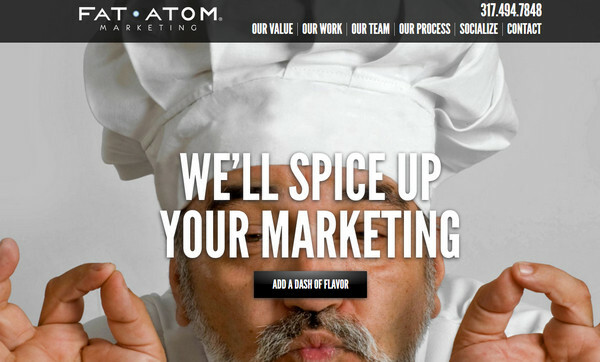 Fat Atom Marketing features full-screen slider, where each slide includes humorous image and witty slogan that together make a good couple. 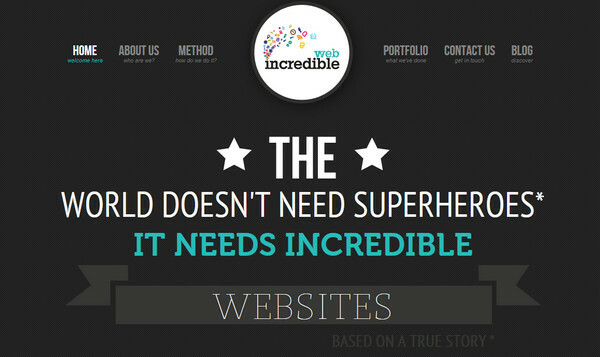 Incredible Web has a rather simple dark design without any particular graphical elements, but it warmly welcomes onlookers with huge truly assertive message, which aims to generate confidence. Readymag directly brings visitors attention to watchword, using light grey shadeless background and huge black typeface. Thirty Dirty Fingers incorporates funny message that is supported by amazing finger-inspired photo manipulation, thereby showing off their creativeness and unconventional approach. Rgba0001 loudly screams minimal style, utilizing no more, no less then just a simple black background and white font. 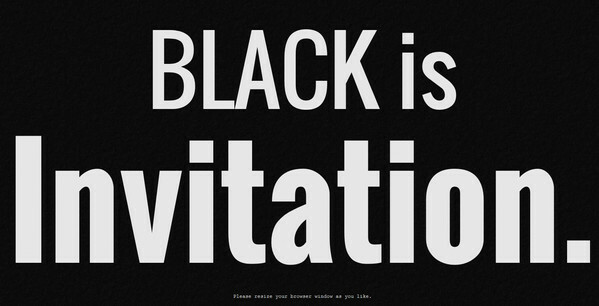 Every time you refresh browser window you will get a new phrase dedicated to black color. 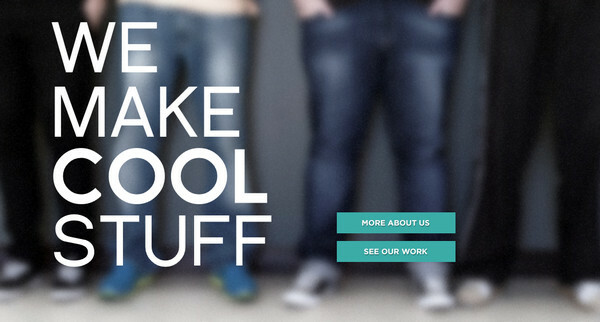 Team Geek puts emphasis on a word “cool” to make clear that they bring to life non-ordinary solutions. 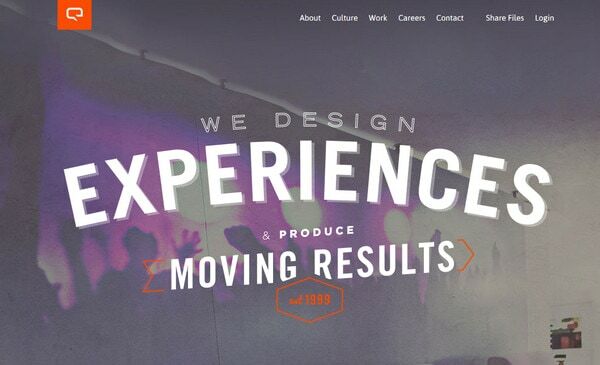 Full-screen blurred photo background and sleek typography looks fresh and trendy. Nudge Design informs visitors about a significance of first impression that lasts less than second, convincing customers that they help to stand this test. 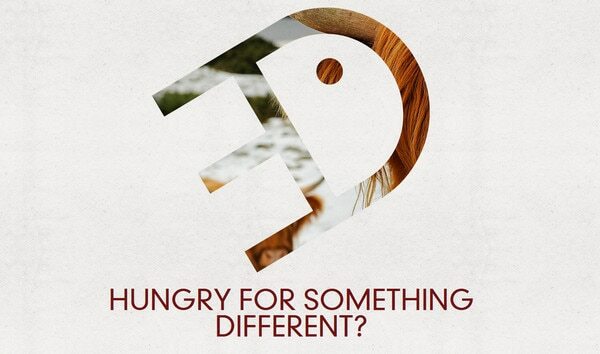 RedMeat Creative stirs viewers’ interest with partly hidden photo background and intriguing tagline written in interrogative form. The 20/20 Group Cairns is personified by different famous quotes dedicated to successful business. 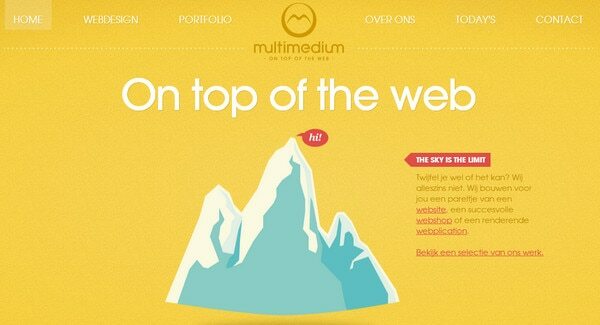 Multimedium utilizes self-confident promotional tagline that is propped up by appropriate illustration. 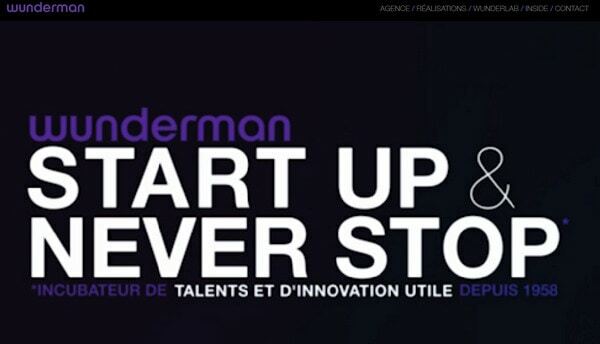 Wunderman is another good example in our collection that heavily relies on emotional factor, calling for prompt action. Website is able to draw attention by means of words rather than amazing design. 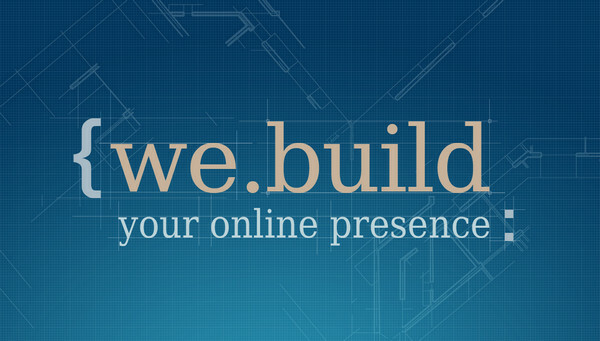 WEBARQ spices up motto and background with code-themed graphics thus adding the spirit of development. Bash the button looks clean and neat with simple background and bold typography but with a hard-to-resist call. 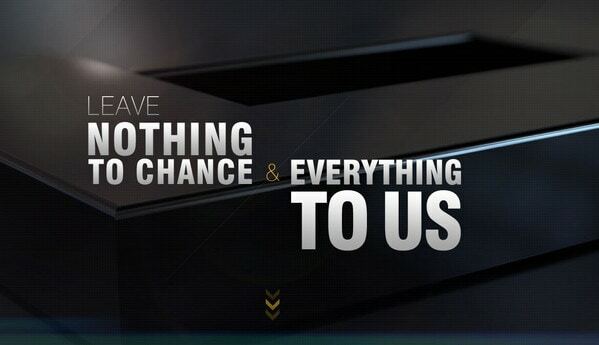 Technology Partners Inc. features huge “rely-on-us” slogan that perfectly stand out on a dark background and is supported by animated old-school arrow, mission of which is to prove this fact. 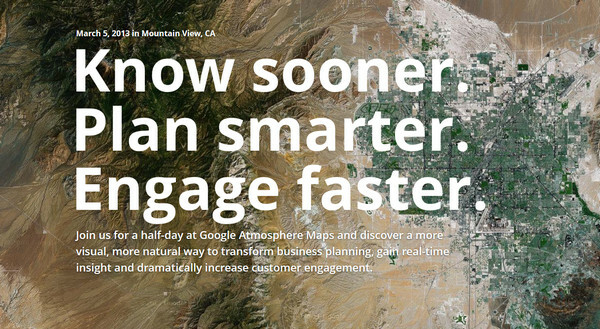 Atmosphere Maps includes 3 positive phrases that severely resemble Olympic slogan, but reworked in its own way. 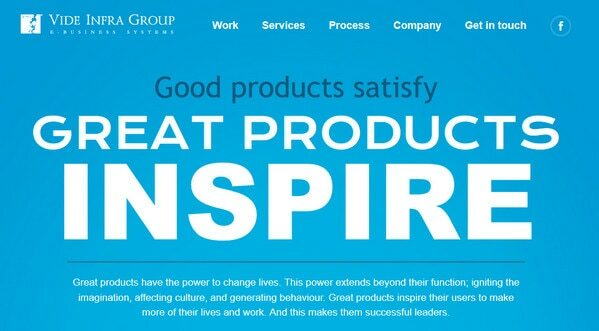 Vide Infa Group strongly relies on a contrast, making a clear distinction between 2 sentences related to a design. Designer wonderfully dramatizes selected parts by means of color, font weight and size. 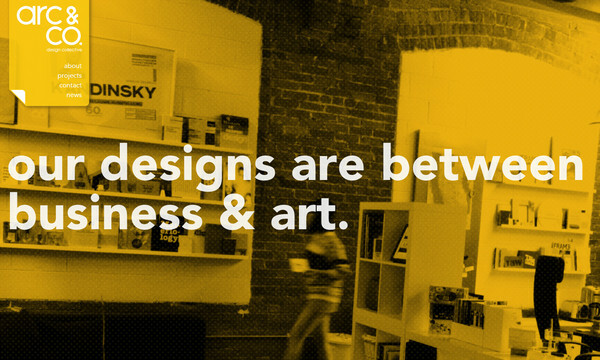 IdeaKites leverages stylish mobile-inspired photo background that easily makes slogan to diverse. The big tagline is accompanied by special navigation block that looks like Photoshop tool panel. Happy Monday is a bicolor website design with plain vector icons and statistic data. The latter serves as a tool, which describes agency as a credible company. Also agency tries to interact with users by means of simple button with “don’t do it” label. Wild Blue has a looming photo-based layout with brisk feeling which is supplemented by huge tagline, where agency puts emphasis on a word “experiences” thereby making people to believe that they are real professionals. Spektrum Media familiarizes users with its activity via number of inspirational quotes that are placed in slider and fortified with small animated icons. Designmindset has a positive vibe and is marked by huge inspirational quote that serve as a primary motto for this agency. White vector-based graphics along with bold typography adds to design neat and clean look. TokioLab keeps things extremely simple and intelligible, focusing onlookers’ attention on full-screen slogan that aims to bring positive emotions. 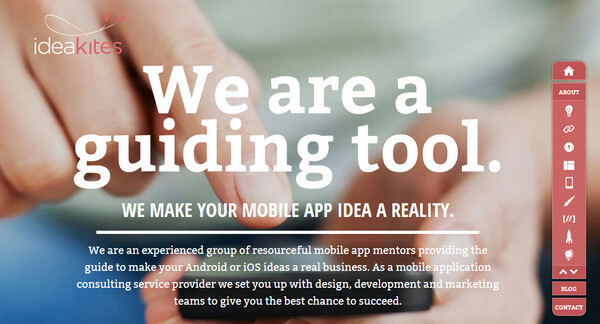 Hitmo Studio with its landing page, which includes human photo manipulation, they try to convey a message that they will stand and fight on your side by developing efficient and advanced solutions. Using promising speeches in achieving your goals of attracting more clients is not new and website design is not exception. Moreover, implementation of catchy and memorable taglines is one of the ways to build into your site positive emotions as well as make it more personal. Also it’s a good self-promotional tool that can shed a proper light on your business. 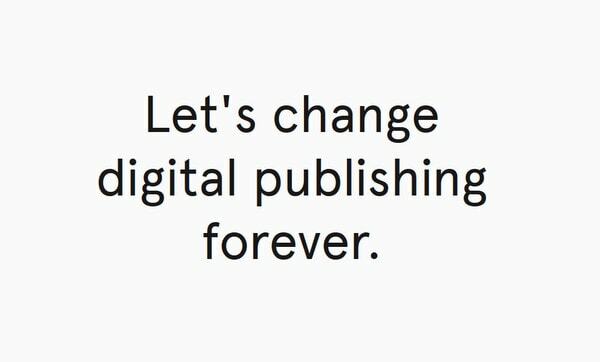 Share with us your thoughts. What do you think about these appealing but slightly bold slogans? Does such assertiveness attract you or vice versa scare away? 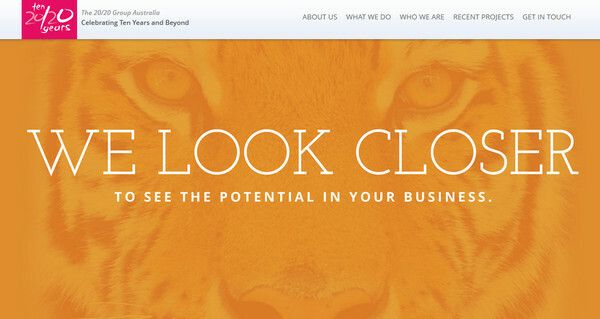 Do you think self-promotion is an essential part of any good web agency? 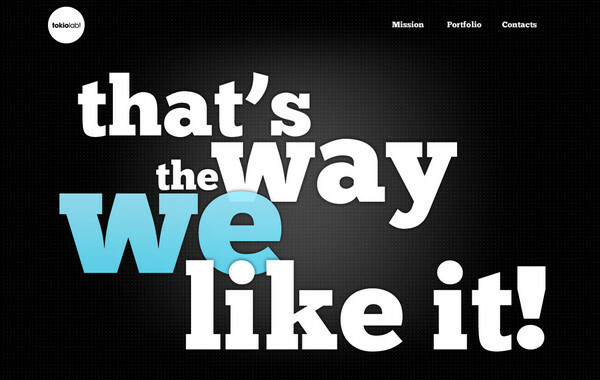 yeah agree…Tag line is first impression..of brand..